We're sorry, but Edfinity cannot be optimally viewed in this browser. We encourage you to use one of the browsers listed here. WeBWorK user? Edfinity is a compelling alternative to WeBWorK hosting. Learn more. 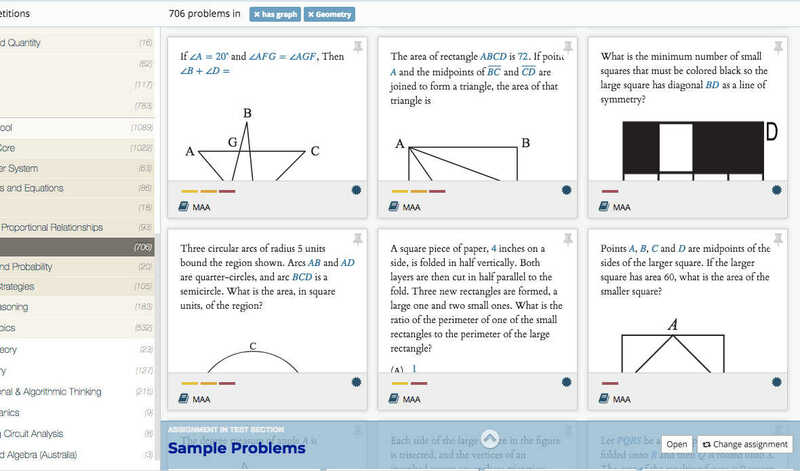 Edfinity provides ready-to-go, OER homework mapped to dozens of courses and textbooks. Remix over 50,000 interactive problems. If you are an OER author, increase adoption with interactive problems aligned perfectly to your book chapters. Educator access to Edfinity will always be free. Student access to Edfinity is free until August 2019, and thereafter will cost as little as $2/student/month. Additional subsidies for departmental subscriptions and public institutions. Edfinity is indefinitely free for rural high schools and tribal community colleges. 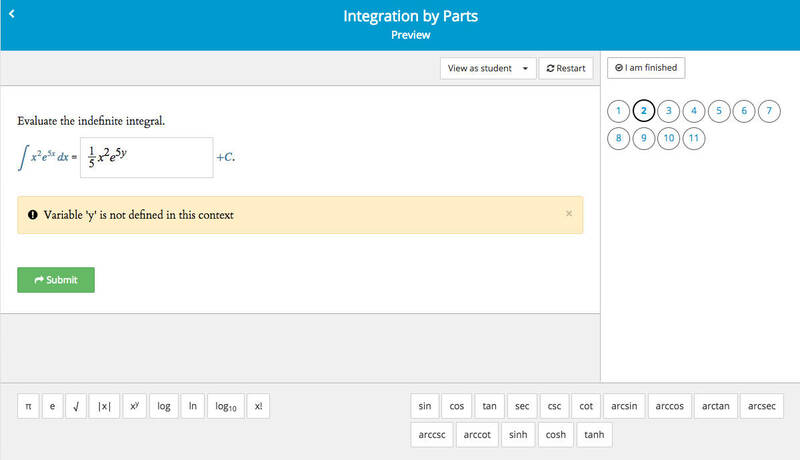 And since Edfinity can be paired with any OER, textbook, content, or curriculum, your students will save money, too. Talk about bonus points. Oh, and speaking of savings? Machine-scoring – even of complex free-response assessments – means you’ll save time grading and have more time for teaching. Double bonus. Good! Add it to Edfinity’s vast and growing repository of problems and courses. 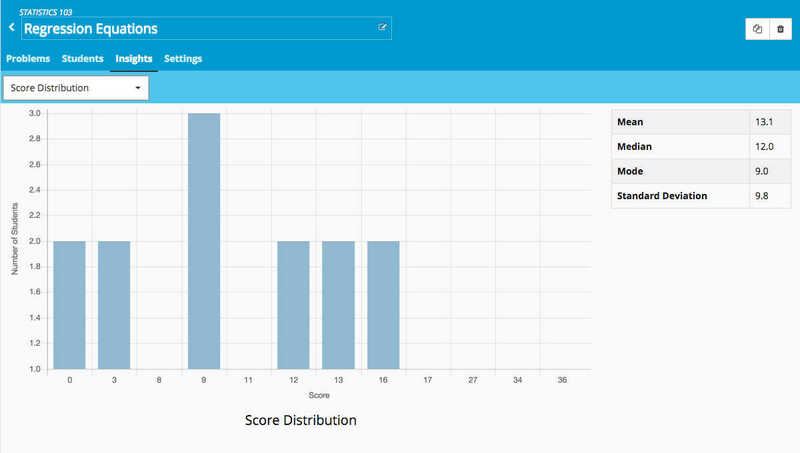 Edfinity makes it easy to author your own interactive assessments, using our intuitive graphical editor and features like randomization, formulas, and more. Remix your content with ours, collaborate with colleagues, and share with other educators, institutions, and students. Edfinity lets you search for problems by topic, difficulty, author, institution and more. Browse our catalog to discover just how easy the pursuit of knowledge can be. Of course, learning also requires feedback. That’s why Edfinity offers real-time answer feedback and contextual hints so students will get the feedback they need, at the exact moment they need it. Plus, we’re piloting adaptive learning technology, and will be phasing it into our catalog over the next year. 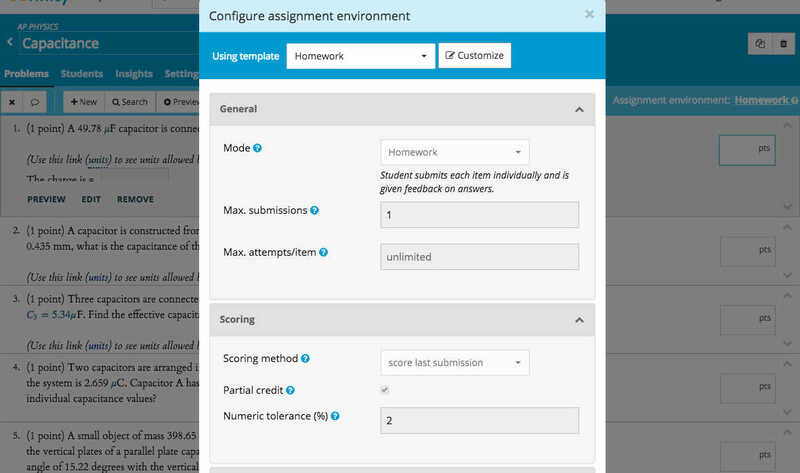 Edfinity’s endlessly flexible templates allow you to customize a wide range of parameters, including type of assessment, response time, number of attempts, scoring, randomization, shuffling, and more. Hey – your classroom, your rules. It’s time to get started with Edfinity. If you have questions, reach out to us at hello@edfinity.com. ©2014 - 2018 edfinity®, inc., all rights reserved.